No bumps and scrapes. When you know what’s in front of you, you won’t bump into it. The same is true of the Mavic. Using Flight Autonomy it can see obstacles as far away as 49ft (15m) in front. Absolute Precision. Flight Autonomy technology means the Mavic can hover precisely in more environments, and automatically land almost exactly where you took off. Use every single pixel. 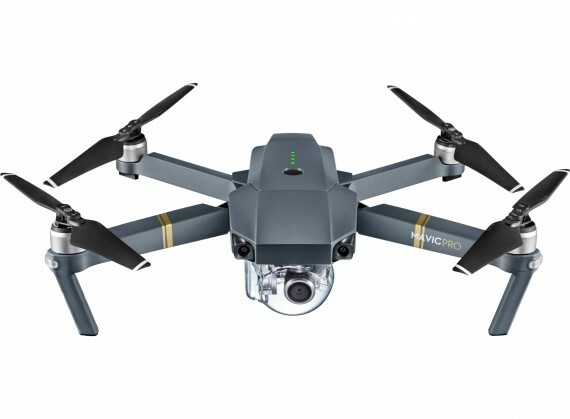 The Mavic is the only drone of its size to carry an integrated high-precision 3-axis mechanical camera stabilization system. The Mavic uses DJI’s newly developed OcuSync transmission system. Part of the Lightbridge family, OcuSync performs far better than Wi-Fi transmission at all transmission speeds. OcuSync also uses more effective digital compression and channel transmission technologies, allowing it to transmit HD video reliably even in environments with strong radio interference. Compared to traditional analog transmission, OcuSync can transmit video at 720p and 1080p – equivalent to a 4-10 times better quality, without a color cast, static interference, flickering or other problems associated with analog transmission. Even when using the same amount of radio transmission power, OcuSync transmits further than analog at 4.1mi (7km)*. OcuSync goes even further than optimizing the communication mechanism and parameters of aerial imaging. There are several video transmission systems on the market claiming to offer video transmission with zero latency. However, it should be noted that the physical layer of those transmission systems is too simple to adapt to changes in the environment. When affected by signal interference, the image quality of the video being transmitted will fall sharply. This means these systems are not suitable for far field transmissions and transmissions in interference-heavy environments. Also, because these video transmission systems are not integrated into the whole system, latency will immediately start to rise up from 0 when working with devices including cameras and displays. OcuSync is able to strike a perfect balance between latency and receptivity, reducing latency to 5ms for remote controller transmission commands, 10ms for video data and 130ms for videos. More than low enough to ensure that Mavic is able to fly reliably despite interference. OcuSync’s integration with video processing, coding, and signal transmission systems also make it more cost effective. Before taking off, OcuSync will automatically scan the environment and choose the frequency band with the lowest interference, ensuring more stable video transmission. During a flight, it sends key flight parameters back for viewing in the DJI GO 4 app and supports a maximum download speed of 40Mb/s for photos and videos. There are many Wi-Fi based transmission systems available on market. However, the experience of using OcuSync is completely different. As Wi-Fi was primarily designed to connect electronic devices locally, it works best when connecting to nearby devices. As it was designed for short range, Wi-Fi systems use low cost transmitters that suffer from weak data links. This means that a Wi-Fi cannot detect weak signals or signals with interference. OcuSync however, uses many cutting-edge communication industry technologies to outperform Wi-Fi in terms of sensitivity, anti-interference, and anti-fading, as well as when flying at high speed. It also supports simultaneous connection to multiple devices. In use, this is the difference between smooth or interrupted transmission, short or long flight range, and short or long recovery times after interference or GPS signal loss. Additionally, since Wi-Fi uses a traditional protocol stack, it takes longer – from several seconds to tens of seconds – to get connected and to re-connect after signal loss But OcuSync uses Cross-Layer Protocol Design, it can establish or re-establish links within one second. As well as point-to-point video transmission, OcuSync also supports wireless connections to multiple devices. For example, you can connect the DJI Goggles, remote controller, and Mavic wirelessly to OcuSync all at the same time. You can also add an additional remote so that you can control the Mavic with two remotes or share First Person View (FPV) videos. Advantages: Компактность, качество сборки, технологичность, качество записи, дальность сигнала, режим полета, продуманность девайса. Эксплуатирую 5 мес. полет отличный. Для большего комфорта рекомендую использовать с сумкой и еще 2-мя дополнительными батареями. Так у вас в запасе есть почти час с лихвой полета на одной зарядке пульта. Disadvantages: DJI Go4 - Довольно ребовательная программа, если использовать не топовый сматфон или планшет частенько ловит глюк... И очень важно!!! - никогда не игнорируйте предполетные настройки! Отличный очень портативный коптер, качество видео неплохое, иногда даже хорошее, отлично противостоит ветру, превосходный софт.